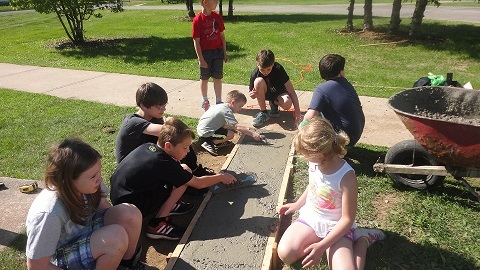 The Fredericton Northwest Construction has to delivered tools and materials to 50 Schools over the past years as part of the Build for the Future. 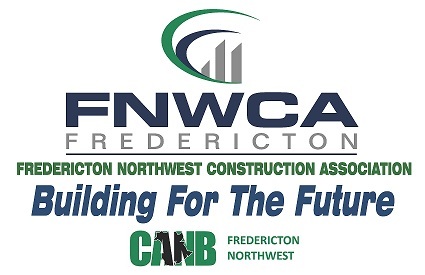 Build for the Future is a partnership between FNWCA and the Construction Association of New Brunswick. 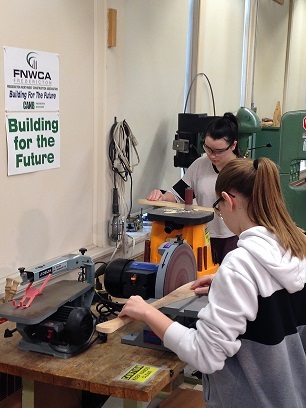 FNWCA has partnered with CANB to launch Build for the Future. 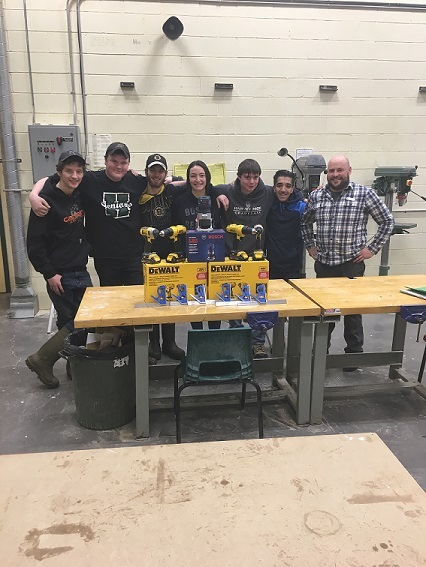 The mandate of this committee is to try to get the shop classes back in the Junior & High Schools in Fredericton and Northwestern NB. 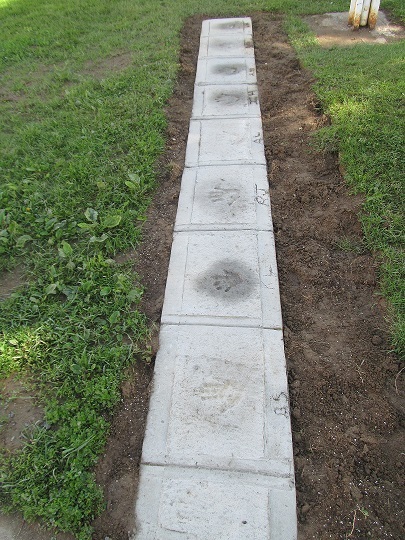 The schools will be looking for funding as well as materials. 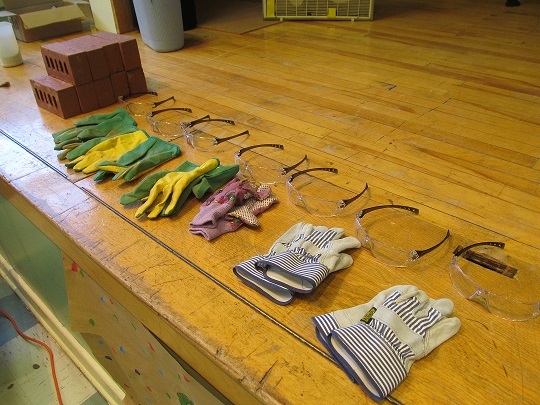 If you company has ANY old or new materials that would be useful for these classes they would be appreciated. 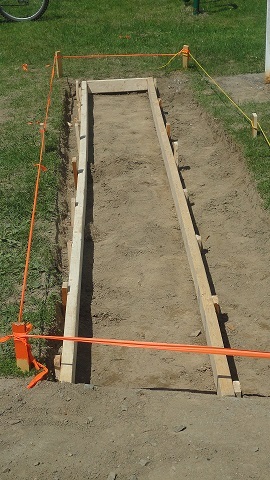 Donations are also being accepted. 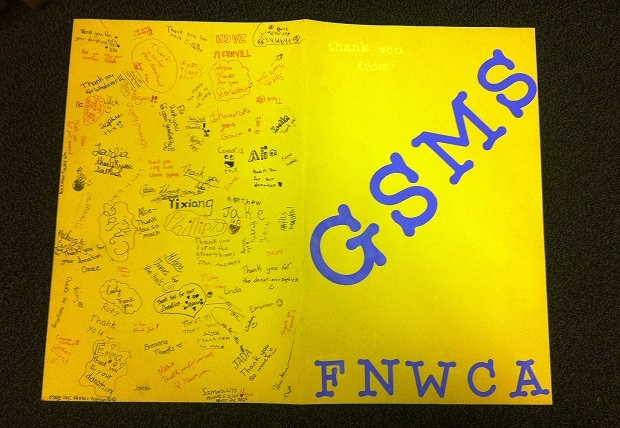 Acknowledgement will be noted on our weekly bulletins & web site. 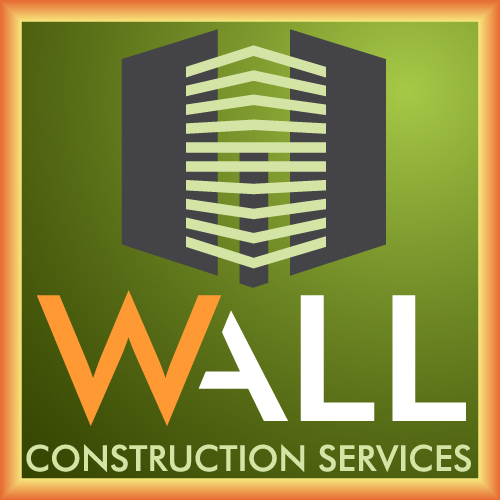 Please contact us at 458-1086. 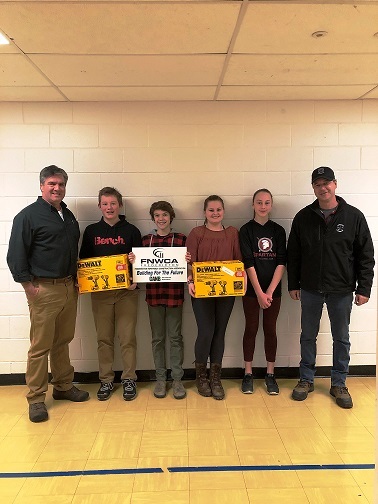 Thank you to all that have made donations at the Silent Auction at our Christmas Dinner & Dance, the Golf Putting Contest, and the special draws at our Curling Bonspiel. 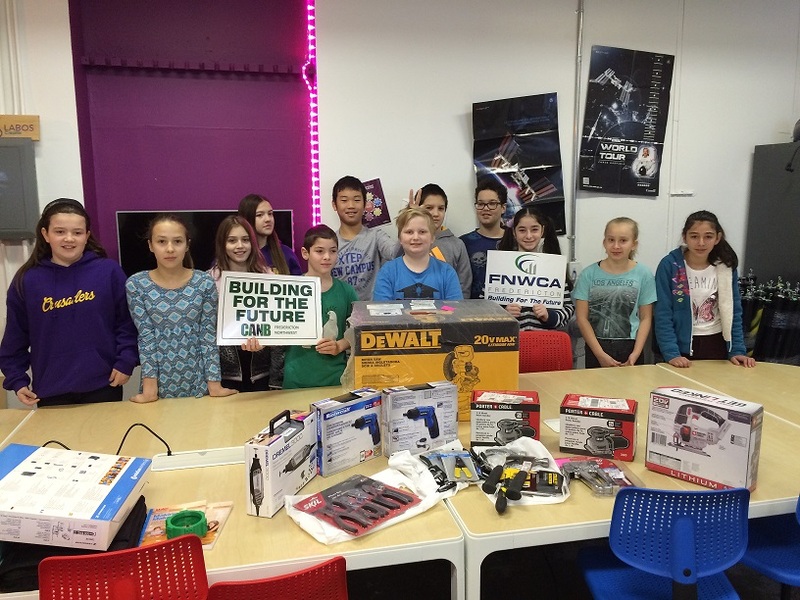 Students from George Street Middle School were thankful for the tools they received. 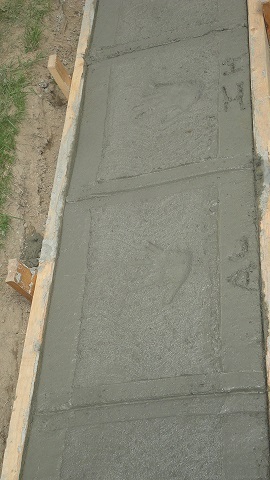 To date 50 donations have been made to schools for tools and materials for their Shop Classes because of your support. 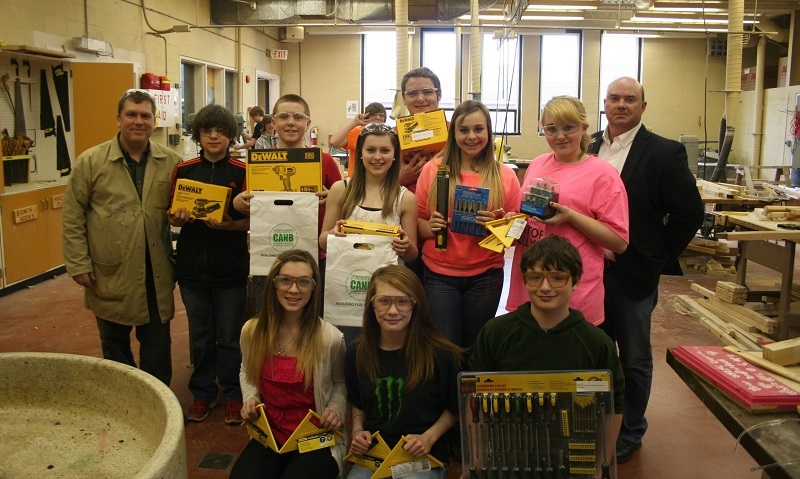 the Canterbury High School with the various tools they required for their shop classes. 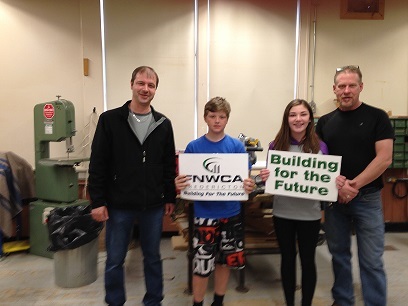 Bath Middle School student thanks Greg Dunlap, Preisdent of the Fredericton Northwest Construction Assoication for their donations. 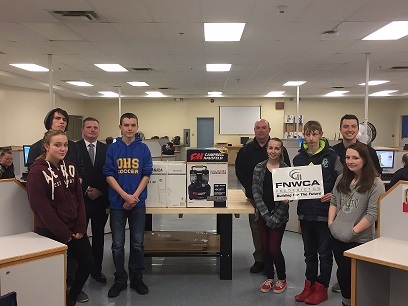 Darren Webber (back right) of the Fredericton Northwest Construction Association presented Nackawic Middle with their wish list for the Shop Class. 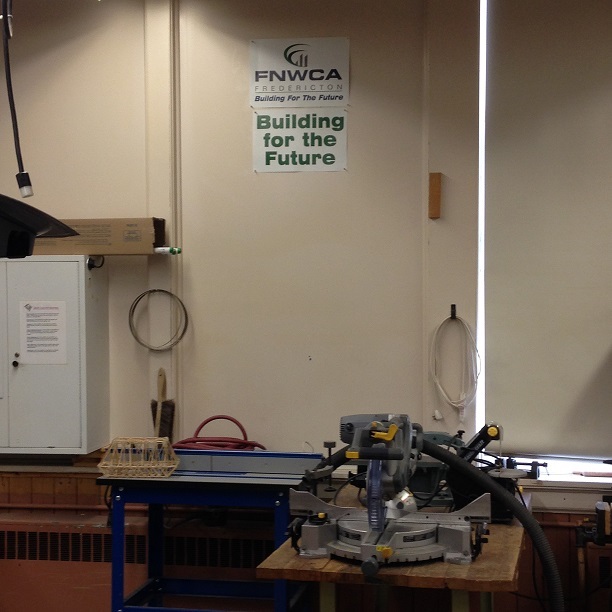 Brent Anderson from the Fredericton Northwest Construction Association presented the school with the materials needed to make their Welding Booth. 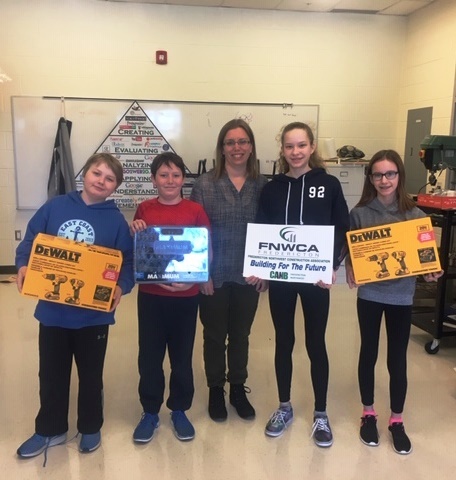 Darren Webber of the Fredericton Northwest Construction Association presented the Keswick Valley Memorial School with their new items from their wish list for their shop class. 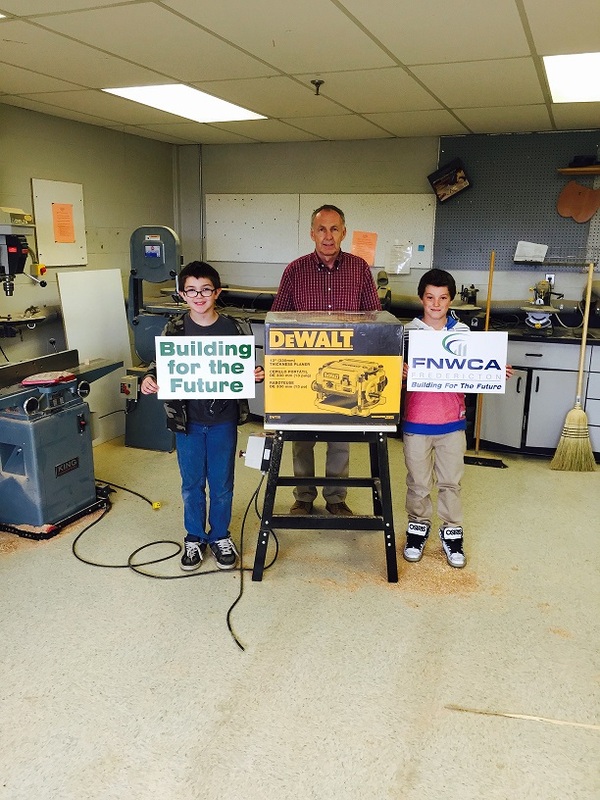 Thomas Goodine of the Fredericton Northwest Construction Association presented Harold Peterson Middle School with a Mitre Saw for their shop class. 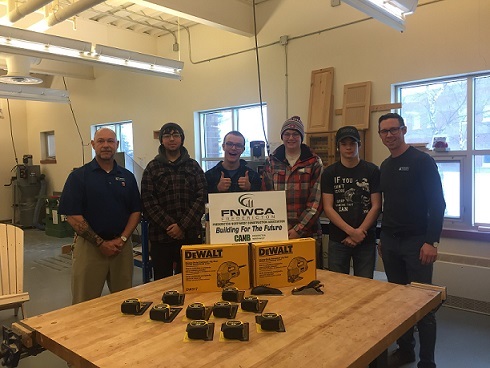 Brian Dingle of the Fredericton Northwest Construction Association presented teachers Neil Ferguson and Virgil Graham along with students of Nackawic Senior High School equipment for their shop class. 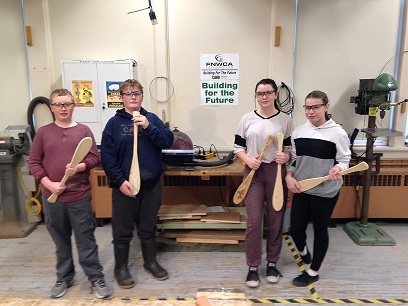 with tools for their shop classes. 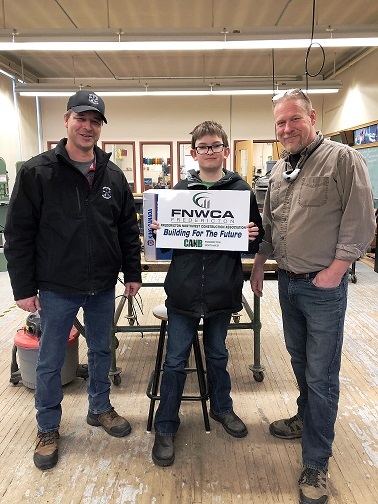 Brandon Jones of the Fredericton Northwest Construction Association presented Brent Shaw from the Harvey High School with new tools for their shop class. 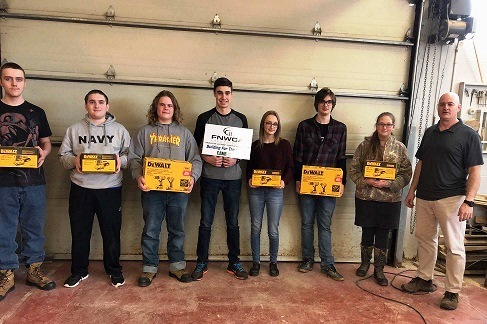 Thomas Goodine, right of the Fredericton Northwest Construction Association presents Gray MacDougall of Leo Hayes High School with new drills for their Shop Class. 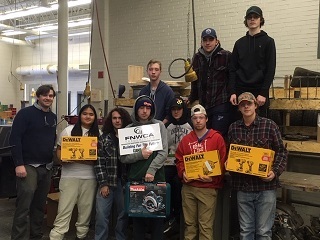 Thomas Goodine of the Fredericton Northwest Construction Association presents Peter MacMillan and students of the Fredericton High School with tools for their shop class. 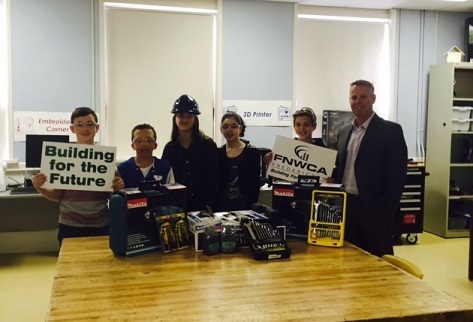 Darren Webber of the Fredericton Northwest Construction Assoication presented students of the John Caldwell School with tools for their shop class. 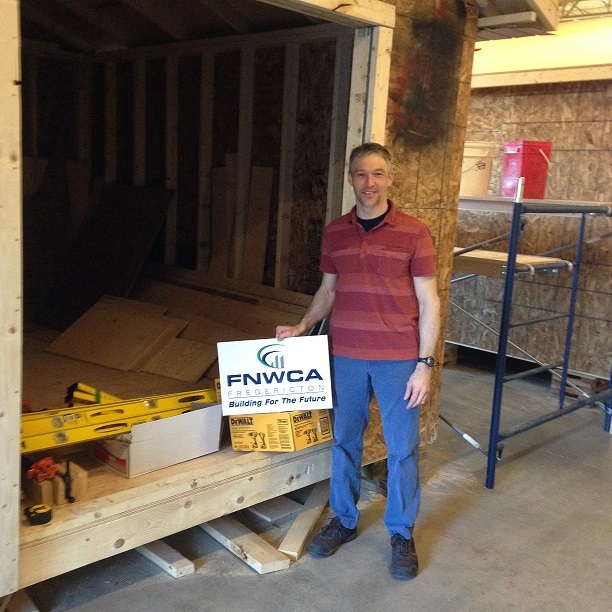 Darren Webber of the Fredericton Northwest Construction Association, presented Darren Giberson of the Tobique Valley School with materials from their wish list. 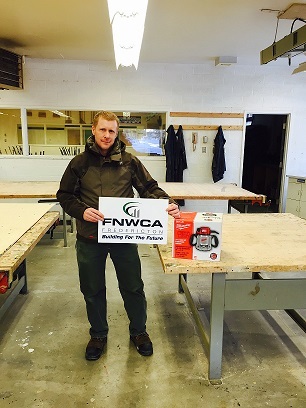 Darren Webber of the Fredericton Northwest Construction Association presented students at the Perth Andover Middle School with materials for their shop class. 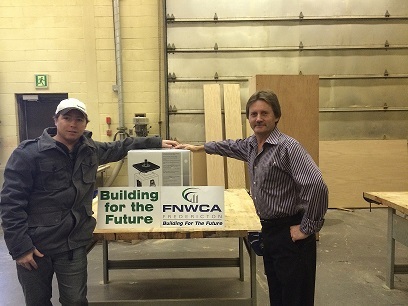 Brad Toole, (Right) of the Fredericton Northwest Construction presents George St. Middle School with materials for their Shop Class. 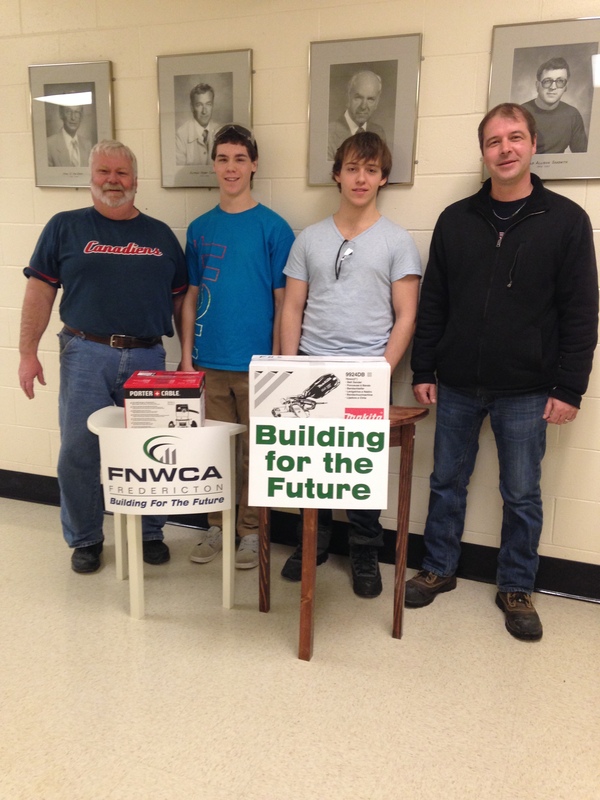 Thomas Goodine, (Left) of the Fredericton Northwest Construction Association delivered tools to the Devon Middle School. 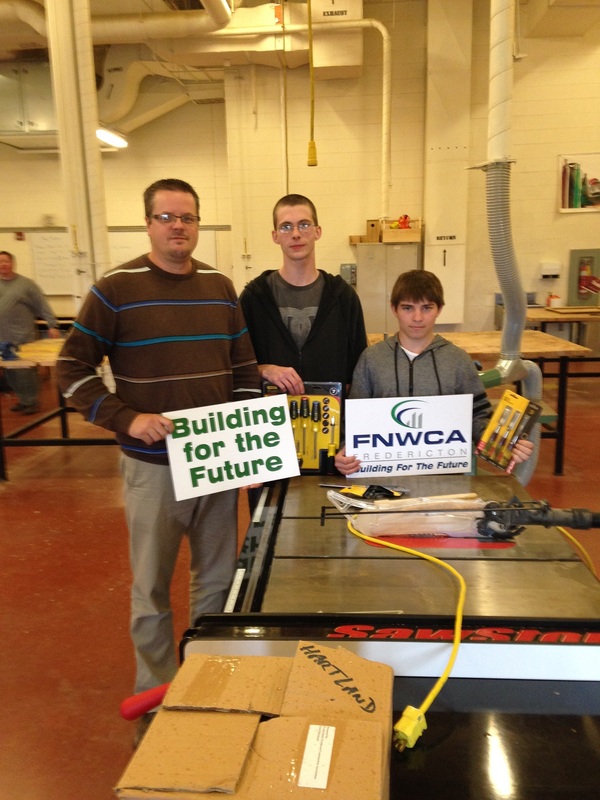 Brad Toole, (Left) of the Fredericton Northwest Construction Association presented materials to Ridgeview Middle School for their Shop Class. 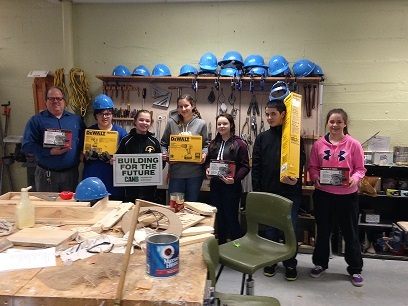 Ken Brawn of the Fredericton Northwest Construction Association Board of Directors presented students from the Perth Andover Middle School with materials for their Shop Class. 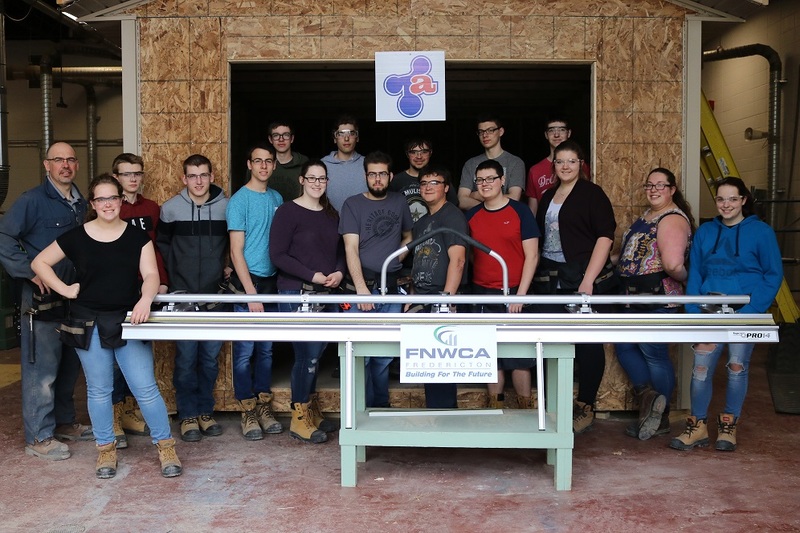 Ken Brawn of the Fredericton Northwest Construction Association Board of Directors presented students from Canterbury High School with materials for their Shop Class. 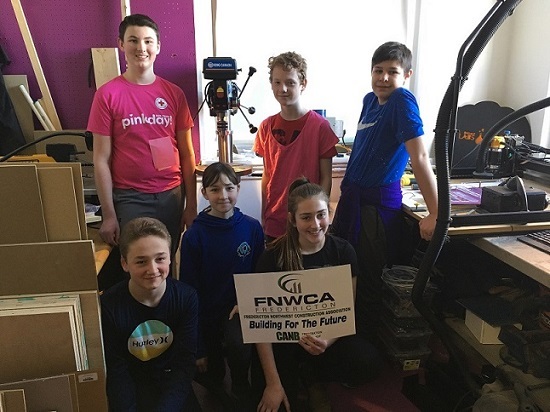 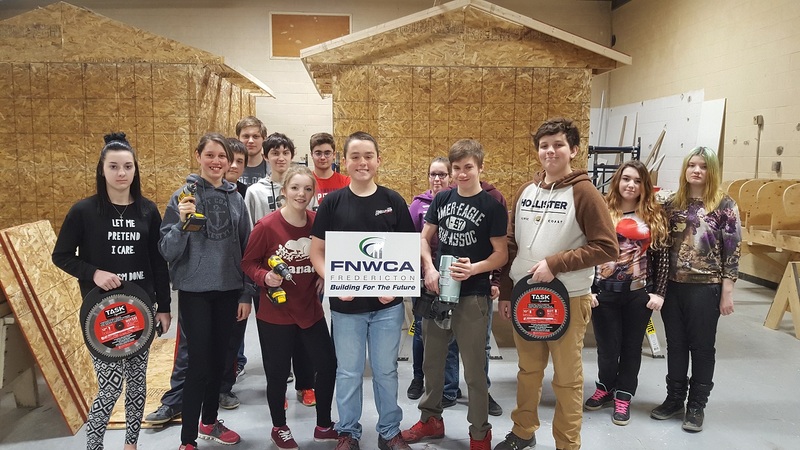 Helping to Build for the Future, Ken Brawn of the Fredericton Northwest Construction Association Board of Directors, presented students from the Florenceville Middle School with tools for their shop class. 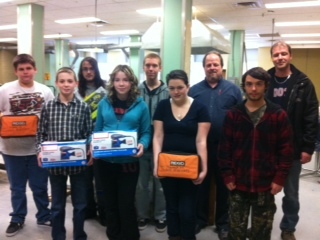 John Pomeroy, (right) and students of the Ridgeview Middle School received some Compact Routers and Scroll Saws from Darren Webber (back row) of the Board of Directors of the Fredericton Northwest Construction Association as a donation for their Shop Class as part of the "Build for the Future Program." 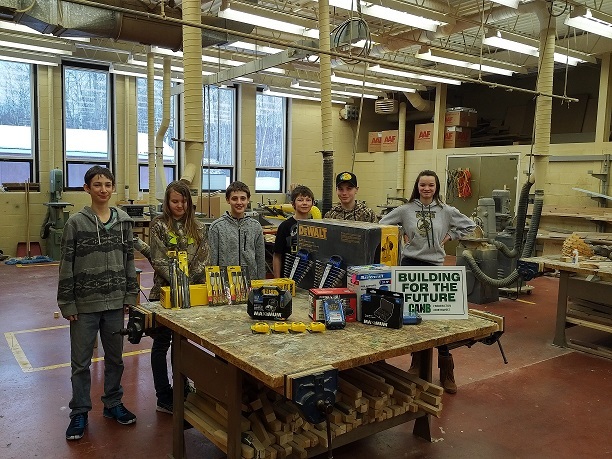 Students and Staff of the George Street Middle School were very pleased to receive new tools for their shop class presented by Brad Toole of the Fredericton Northwest Construction Association Board of Directors. 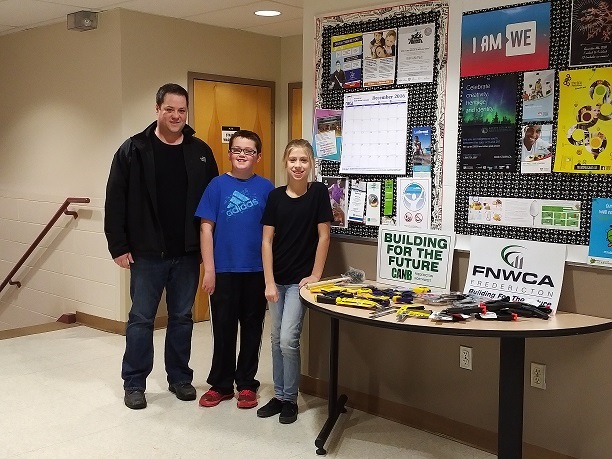 Dave Nickerson (left) with students from Devon Middle School accepted tools from President,Trevor Tomilson of the Fredericton Northwest Construction Association as part of "Build for the Future" program. 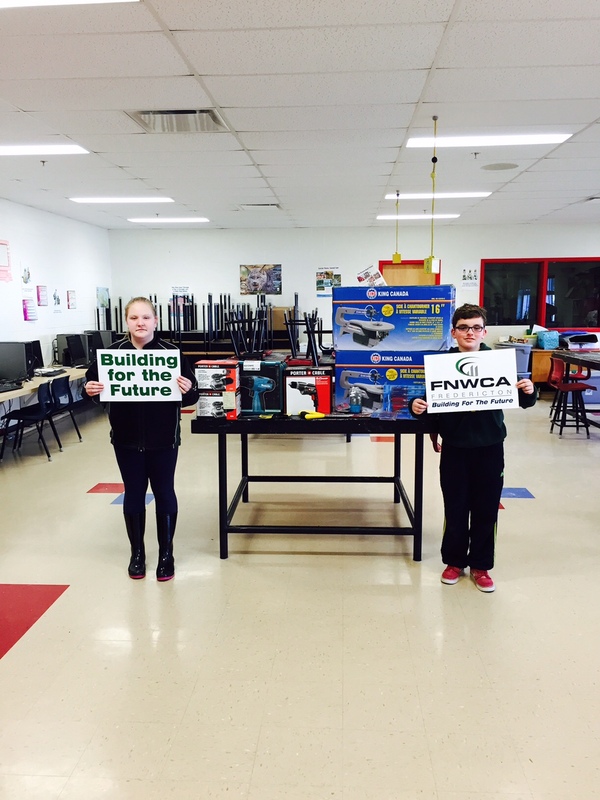 Ken Brawn of the Fredericton Northwest Construction Association's Board of Directors presented Nackawic Middle School with items from their wish list as part of the Building for the Future Initiative. 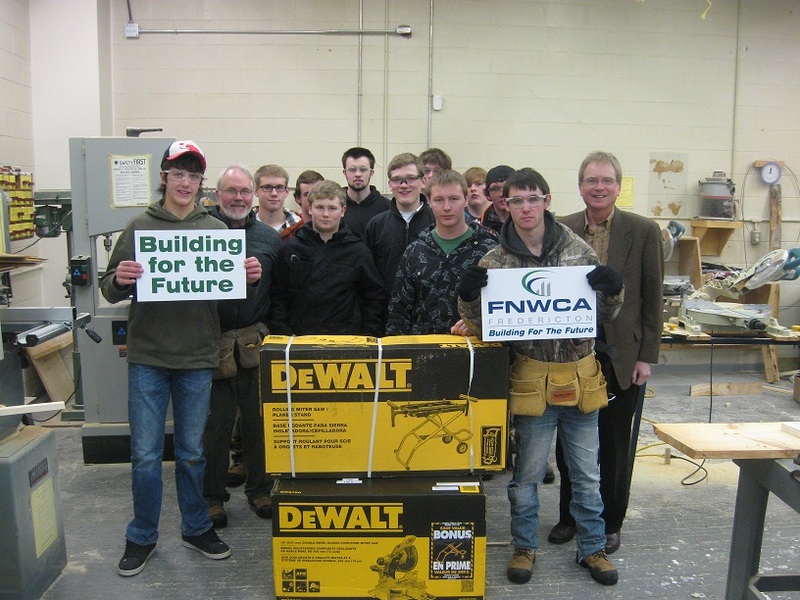 The Fredericton Northwest Construction Association supports the secondary skilled trades in the schools through Build for the Future. 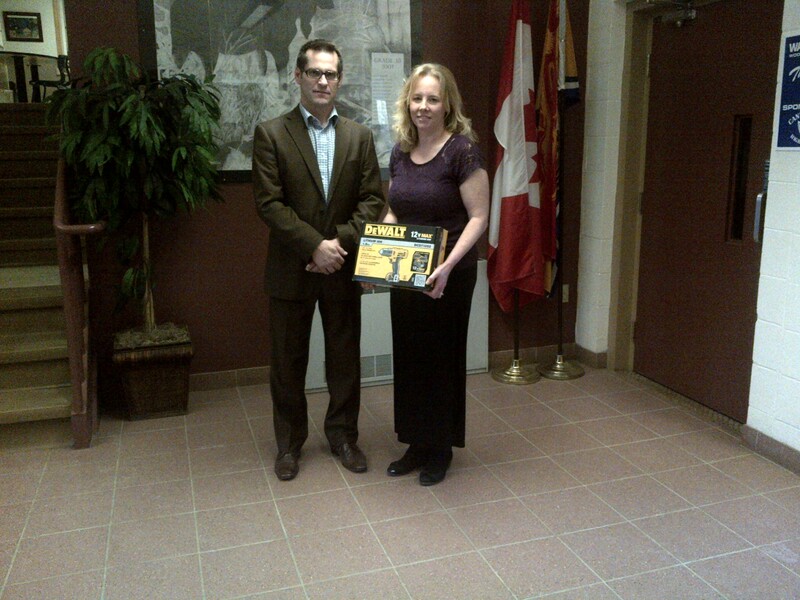 Ken Brawn makes a donation of tools to Hartland Community School. 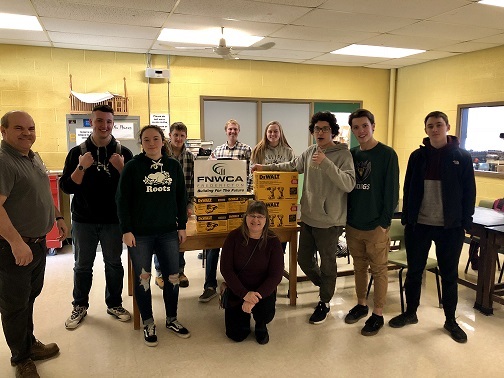 Trevor Tomilson, President of the Fredericton Northwest Construction Association presented McAdam High School with tools for their shop class. 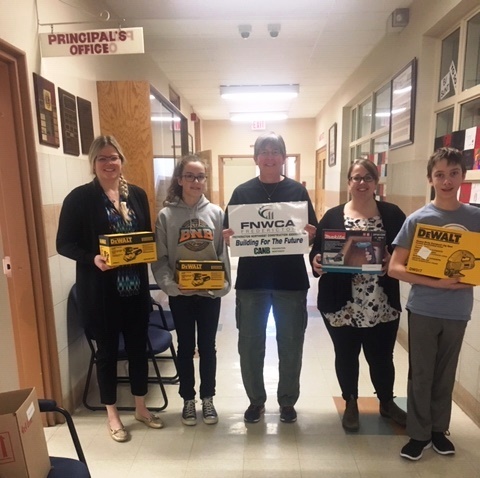 OHS has been very fortunate to have received a donation from the FNWCA, Mr. Darren Webber represented the organization and made the presentation to the school. 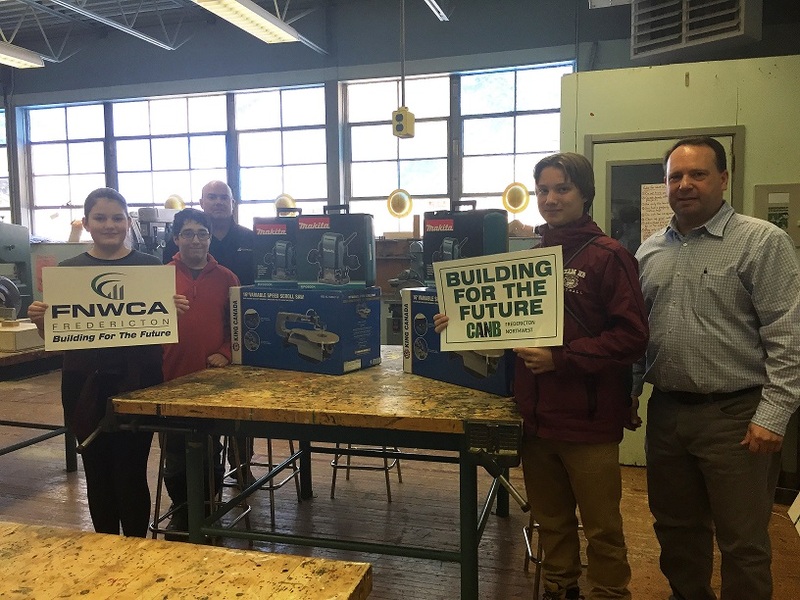 The tools and machines that were donated were a new ultra quiet air compressor and a new dust collector to supplement the new curricular approach in Broad-Based Technology grades 9 and 10 courses as well as our newIntroduction to Applied Technology 110 course which will be offered in the 2017-18 school year. 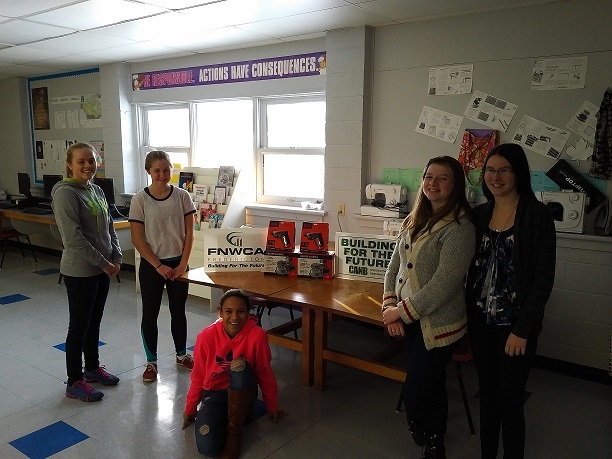 Ken Brawn of the Board of Directors of the Fredericton Northwest Construction Association delivered materials to students of Polyvalente A. J. Savoie, Saint Quentin, NB. 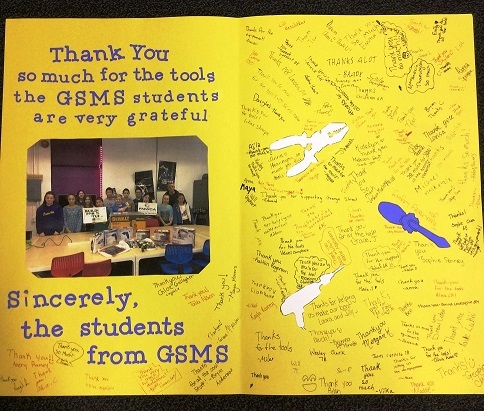 The school was very appreciative of their donations. 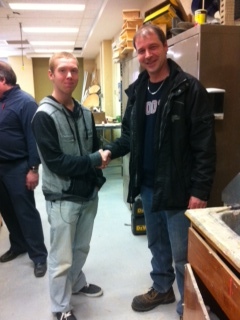 donations on behalf of Build for the Future to Marc Gallant of Ecole Sainte Anne for their Shop Class. 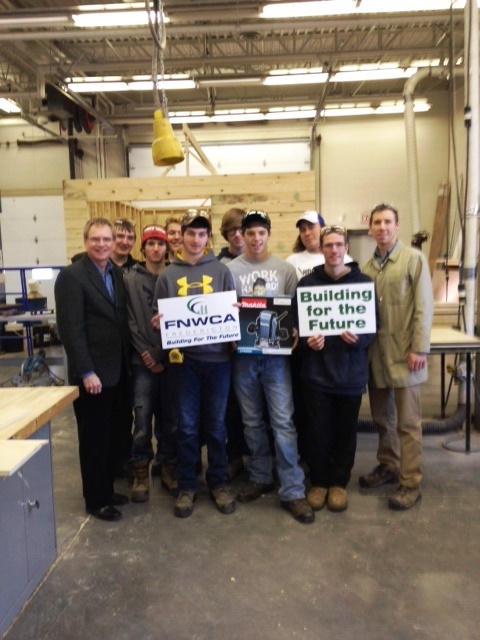 Richard Jr. Cyr and the students of Ecole Polyvalente Thomas Albert, Grand Falls were appreciative of their 10 foot Metal Break and Pocket Carpenter Aprons for each of the students, delivered by Justin Beaulieu, of the Board of Directors on behalf of the Fredericton Northwest Construction Association's Build for the Future. 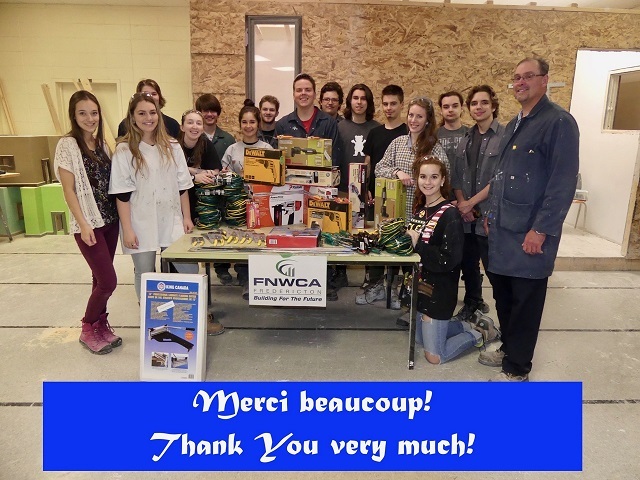 Justin Beaulieu of the Fredericton Northwest Construction Association Board of Directors delivered tools to Cité des Jeunes A.-M.-Sormany, Edmundston as part of Build for the Future. 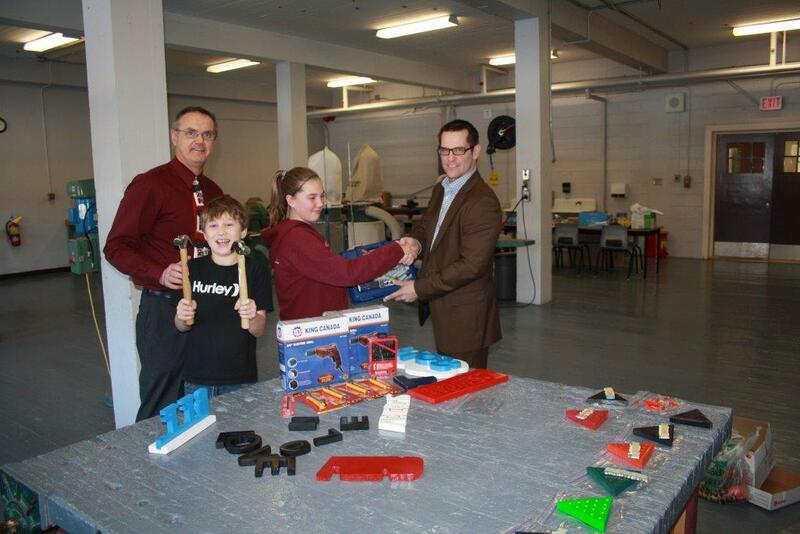 Pictured below are elated Students and Teacher, Stephane Saint Onge. 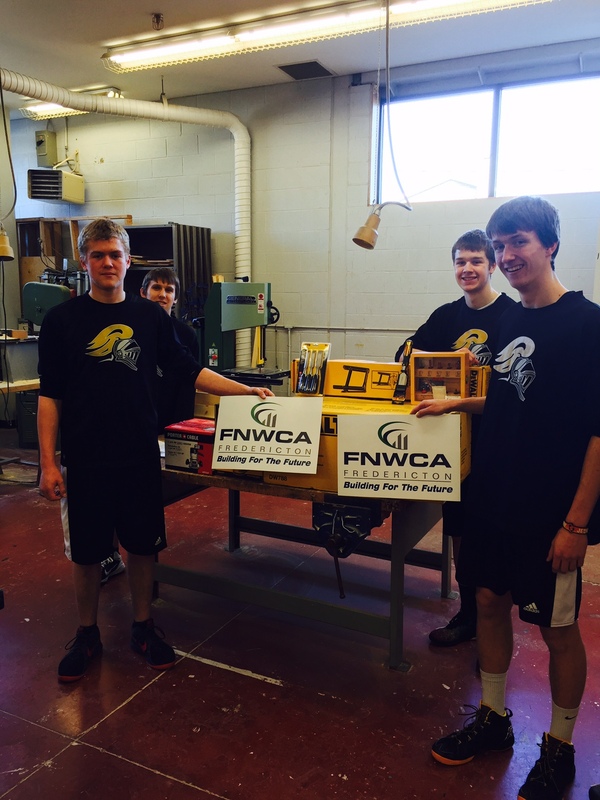 students at Victoria High School with tools from their wish list for their Shop Class. 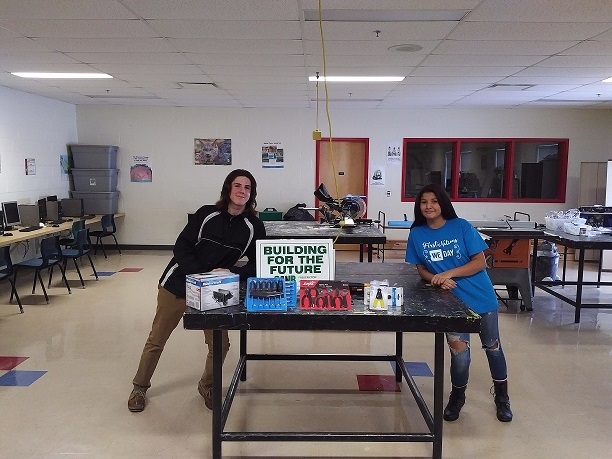 Thomas Goodine from the Fredericton Northwest Construction Association delivered tools to Dave Nickerson and the Devon Middle School Students who didn't take long putting them to use. 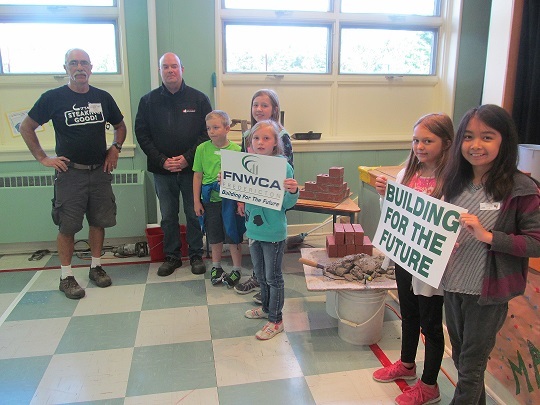 Thomas Goodine of the Fredericton Northwest Construction Association Board of Directors fills the wish list of Nashwaaksis Middle School. 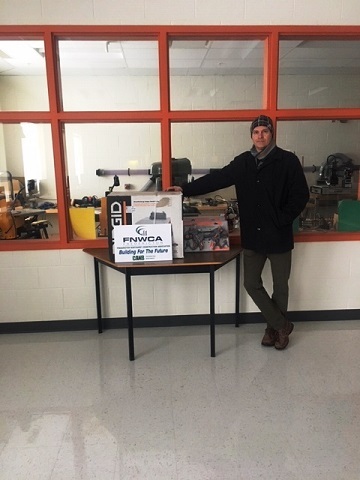 Trevor Tomilson of the Fredericton Northwest Construction Association Board of Directors presented Duke Allaby and Students at Stanley Consolidated with tools for their Shop Class. 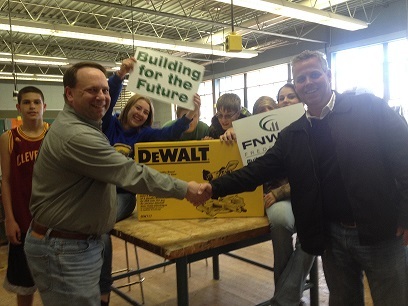 Mitre with Stand to Scott Parks and students of Bliss Carman Middle School. 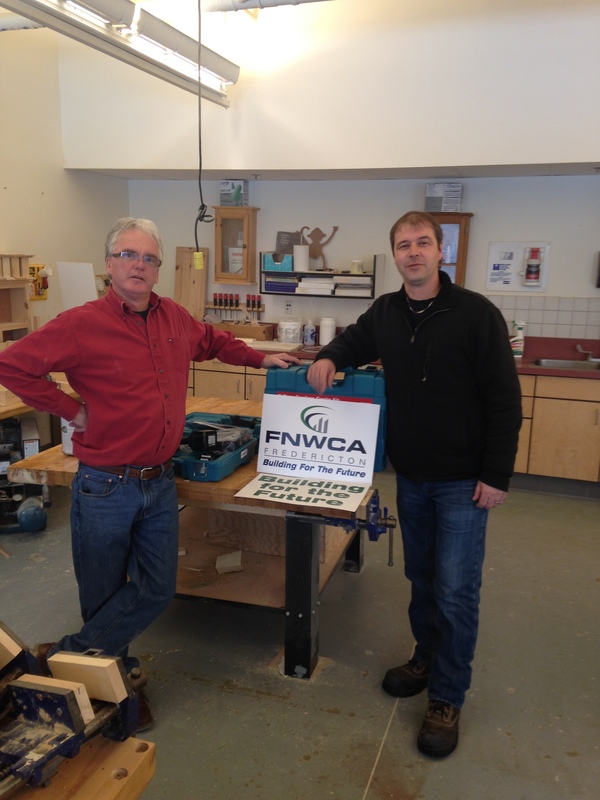 Rod Shaw of the Fredericton Northwest Construction Association Board of Directors delivered tools to Dana Lawrence of Townsview School. 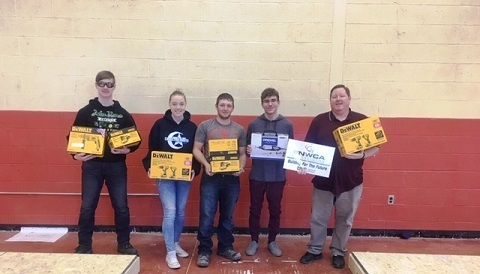 Woodstock High School, Shop Class Teacher, Andrew Cole and Students received a 12-inch Dual Bevel Sliding Mitre Saw and Stand, delivered by Rod Shaw of the Fredericton Northwest Construction Association Board of Directors. 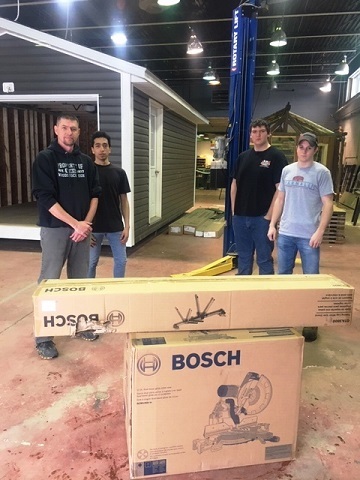 Gaetan Beaulieu of Beaulieu Plumbing & Mechanical delivered tools on behalf of the Fredericton Northwest Construction to the Roch Coutrier Shop Teacher and Students of John Caldwell School. 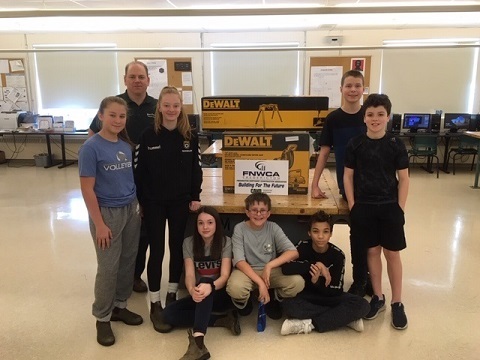 Brad Toole of the Fredericton Northwest Construction Board of Directors delivered various tools to George St Middle School Students including a Floor Drill Press they assembled themselves. 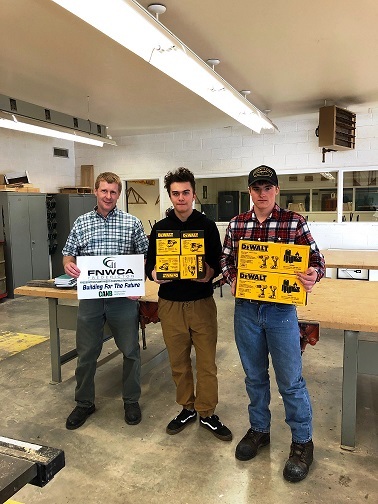 Mike Appleyard & Craig Appleyard of Arrow Construction Products delivered a Dewalt Compound Mitre Saw complete with stand on behalf of the Fredericton Northwest Construction to Shop Teacher Dale Nash and students of the Harold Peterson Middle School. 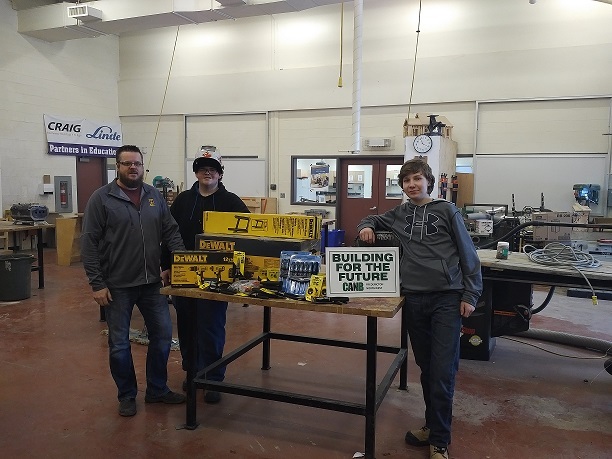 Thomas Goodine of the Fredericton Northwest Construction Board of Directors delivered tools to Shop Class Teachers Luc Plourde, Greg Walker and Students of Leo Hayes High School. 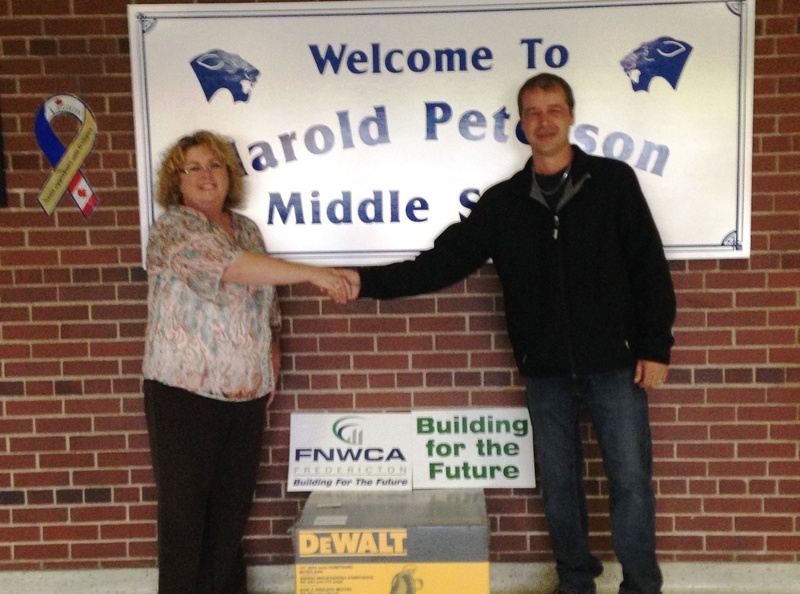 Rod Shaw of United Rentals and the Fredericton Northwest Construction Association Board of Directors delivered tools to Karen Phippen and students of the Florenceville Middle School. 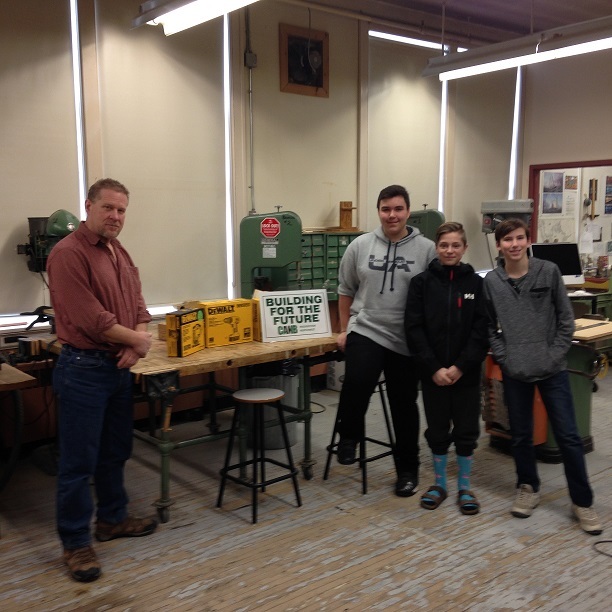 Class Teacher Darren Giberson and students of the Tobique Valley Middle High School. 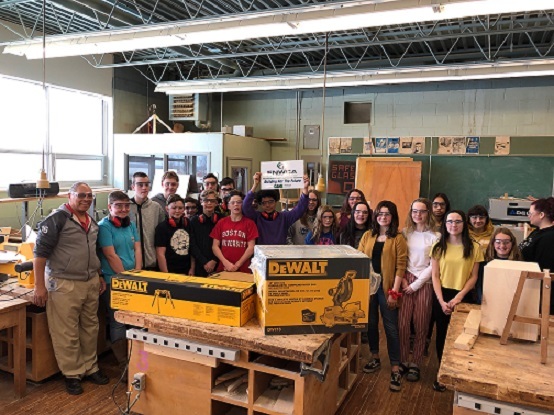 Rod Shaw of United Rentals and the Fredericton Northwest Construction Association delivered tools to Gus Briggs and students of the Carleton North High School.